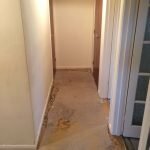 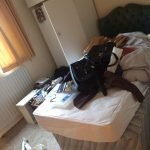 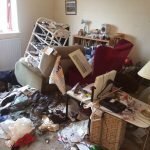 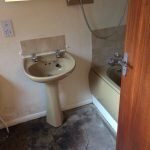 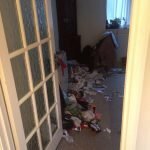 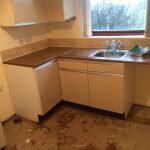 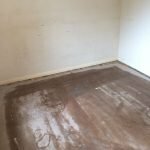 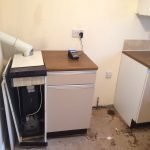 House Clearance Service In North Ayrshire Ardrossan Beith Dalry Kilbirnie Kilwinning Largs Saltcoats Skelmorlie Stevenston West Kilbride. 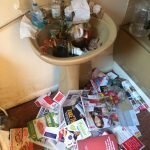 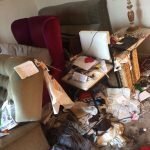 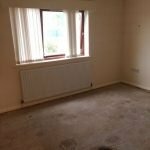 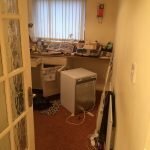 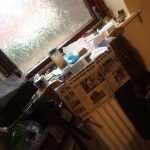 To whom this may concern I am looking for a house clearance on a four bedroomed detached house the property is situated in North Ayrshire and all the furniture is to go please leave carpets and curtains if this is something you can help with could you please send me an estimate or a rough idea of the price and I will get back to you as soon as possible many thanks. 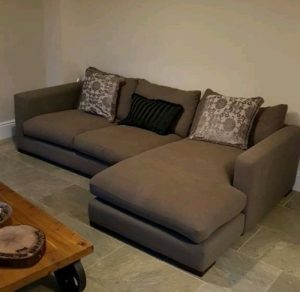 A four seater low back two piece corner sofa, upholstered in grey fabric. 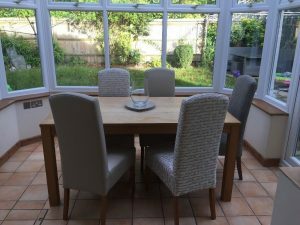 A solid oak rectangular dining table, together with five mix match high back dining chairs. 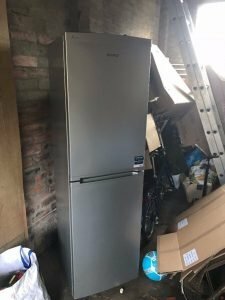 A silver Beko tall standing two door fridge freezer. 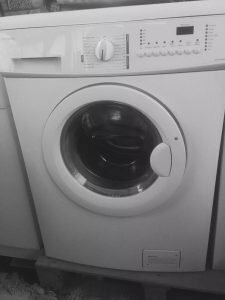 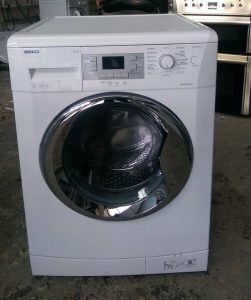 A white John Lewis 6kg under counter washing machine. 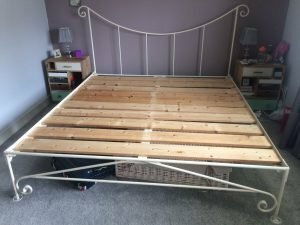 A solid pine four poster double bed frame and double mattress, together with a pair of matching three drawer bedside units. 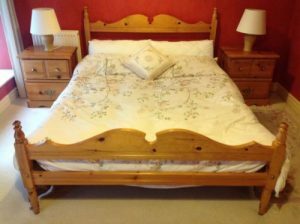 A white wrought iron super king size bed frame, together with a pair of solid oak bedside units. 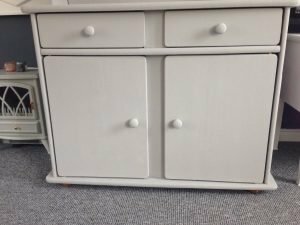 A white painted solid pine sideboard on ball feet, having two drawers above two cupboards. 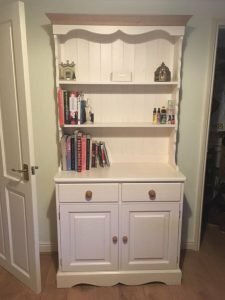 A white painted two piece solid pine Welsh dresser, having two shelves above two drawers and a double cupboard. 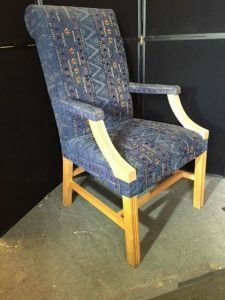 A solid pine fireside armchair, upholstered in navy blue patterned fabric. 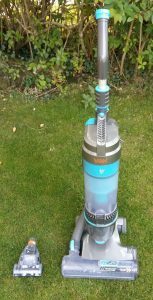 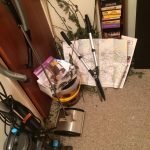 A blue and grey Vax air pet upright vacuum cleaner. 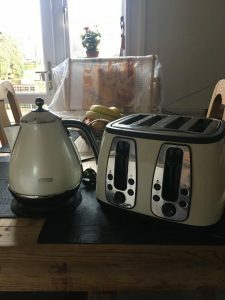 A cream and silver Delonghi kettle, together with the matching four slice toaster. 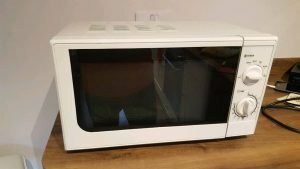 A white Tesco Essentials 60w microwave oven. 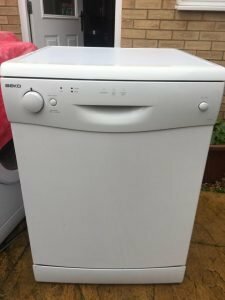 A white Beko full size free standing dishwasher. 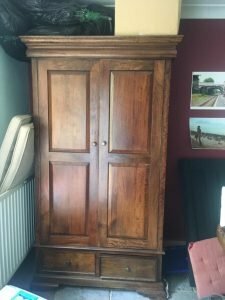 A solid mango wood large double wardrobe, having two drawers to the bottom. 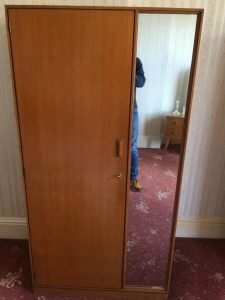 A tall standing vintage single door wardrobe with built in full size mirror.